Anyone with a computer knows that cats rule the Internet these days. So why not capitalize on the kitty craze? 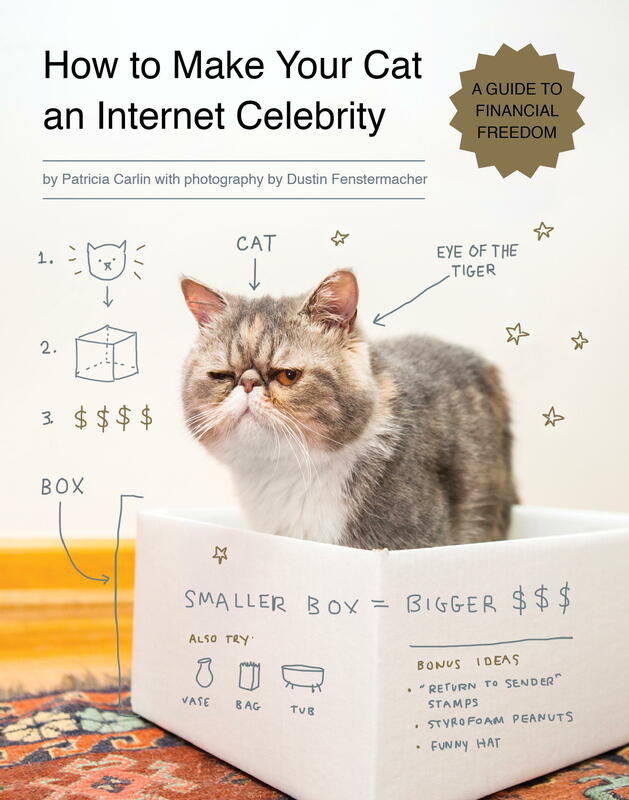 This humorous how-to manual shows you how to turn your feline into an online hit—and potential financial fur ball—with step-by-step instructions on picking out a “stage name,” setting up photos, shooting a viral video, selecting costumes and other props, and determining your cat’s purr-sonality (e.g., sweet baby, lazy bum, daredevil, moron, crazy). Don’t have a cat? Don’t worry—you’ll still howl at the outrageously funny photos and go-for-it advice.